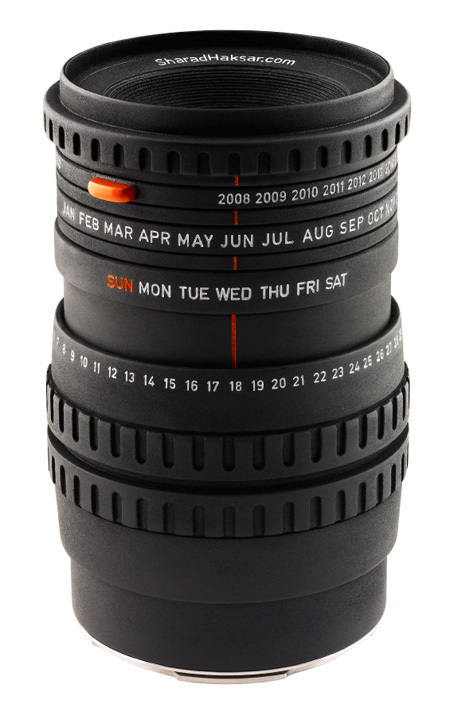 Sharad Haksar has created a desktop calendar that looks like a camera lens. 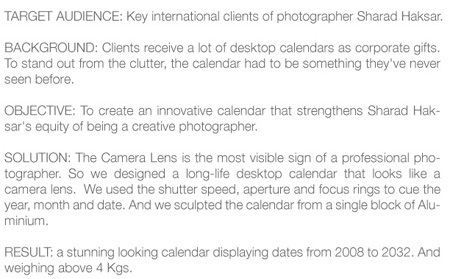 Unique calendar was sculpted from a single block of aluminum. 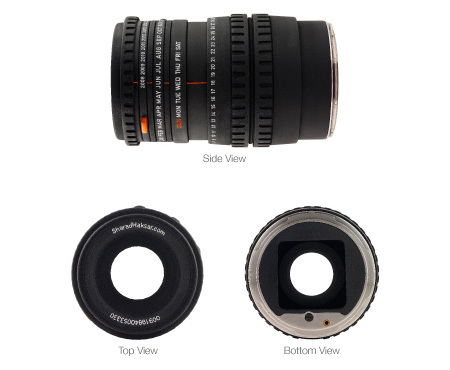 Focus, shutter speed and aperture rings are used to display the year, month and the date. Beautiful. Where can I get one? Does it change the date automatically? Very clever, how come nobody thought of this before? Make it a coffee mug too and I might get one.